View videos, full text journal and magazine articles, and more on Explora. 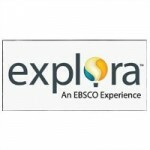 Explore a topic or find specific information through EBSCO’s comprehensive online collections of journals, articles, and searchable databases. 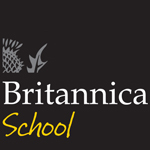 Encyclopedia Britannica school edition for elementary and middle grades … also en español! 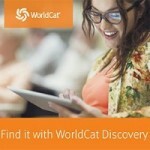 View full text articles, magazines, ebooks, and more on WorldCat. 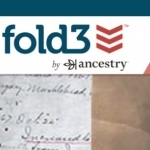 Fold3 is one of the largest sources for military and census records, original documents, and Native American and African-American genealogy collections. 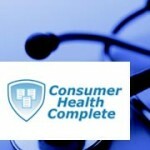 Consumer Health Complete is a rich collection of health information: reports, encyclopedias, dictionary, fact sheets, news, drug, herb info, alternative sources, images, diagrams, and videos. Borrow ebooks and audiobooks and stream movies with Overdrive. Also check out the Overdrive Media Console app in your favorite app store! Enrich your children’s reading experiences with TumbleBookLibrary, a collection of picture books in video form, junior fiction ebooks, graphic novels, puzzles, and educational videos. 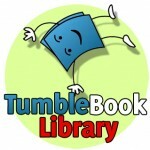 Also check out the Tumblebooks app in your favorite app store! 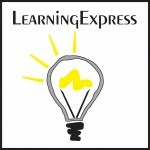 Learning Express can help you achieve your educational and career goals. Learn computer skills, prepare for college entrance exams, improve your math, reading, or writing skills, and more. Learn a new language today with Mango Languages! From Cherokee to Spanish – and even Pirate! – Mango will guide you in quick, easy lessons through a new language. Also check out the Mango app in your favorite app store! Do it yourself with our Home Improvement Reference Center. You’ll find step-by-step instructions for thousands of projects in plumbing, decorating, woodworking, and electrical. Discover DIY instructions on more than 140 different hobby or craft topics in our Hobbies & Crafts Reference Center. Our Legal Information Reference Center will help you find detailed how-to instructions to independently address a wide-range of legal issues including financial planning, family law, property & real estate rights & disputes. Enhance your business with our Small Business Reference Center. You’ll find information on topics from starting a company, operations management and sales to growing or rescuing a business. Explore our Poetry & Short Story Reference Center for the most comprehensive collection of full-text poetry, short stories, and supplemental content available.